Sour and starchy are the two main characteristics of this bowl of noodles. I do know among my circles of friends, most of them craved for the gravy rather than the noodles. For me, I like to add in some home made chilli sauce, when it become spicy, sour and starchy, it will definitely wake up my palate. 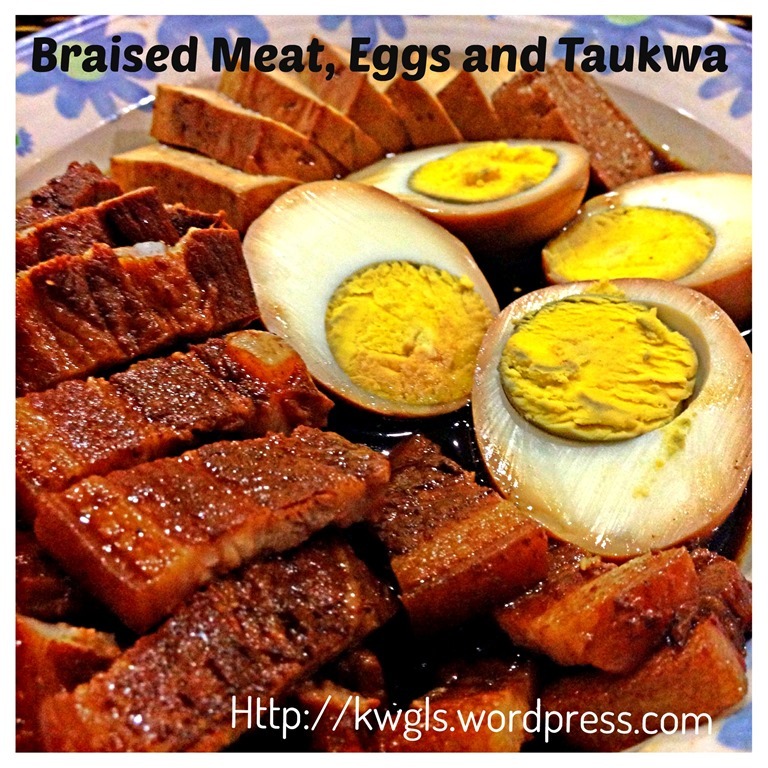 I was told that this is a Hokkien dish, but varies from regions to regions. 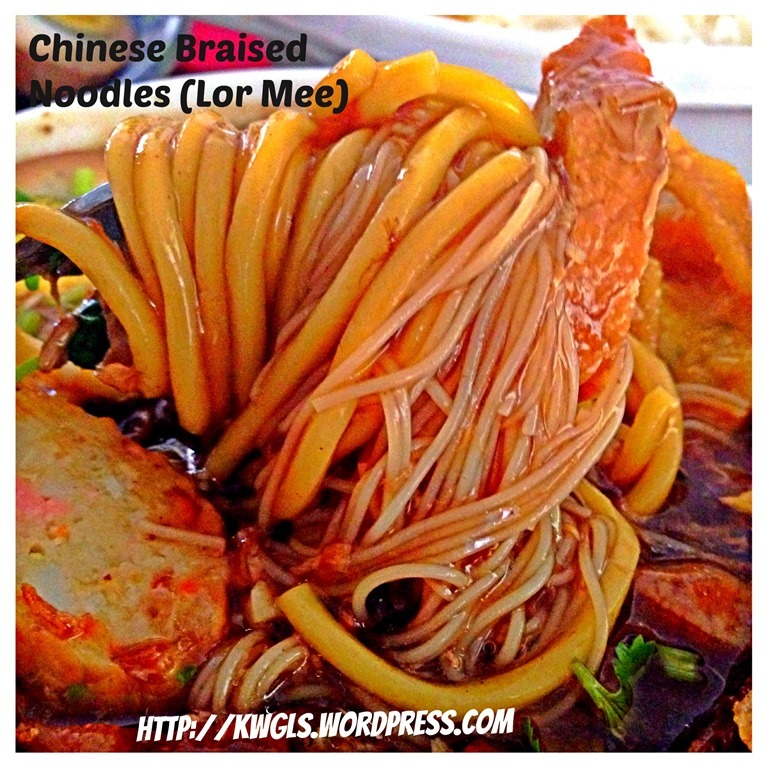 This is the type of braised noodle that are common in Singapore hawker stalls. This post has been queuing up in my list of posts to be issued for quite a while. I did not issue because it will be quite a long post and preparation is rather laborious. However, if you separate the entire preparation process into 2 sessions, it will be more manageable. That is what I was doing all this while. 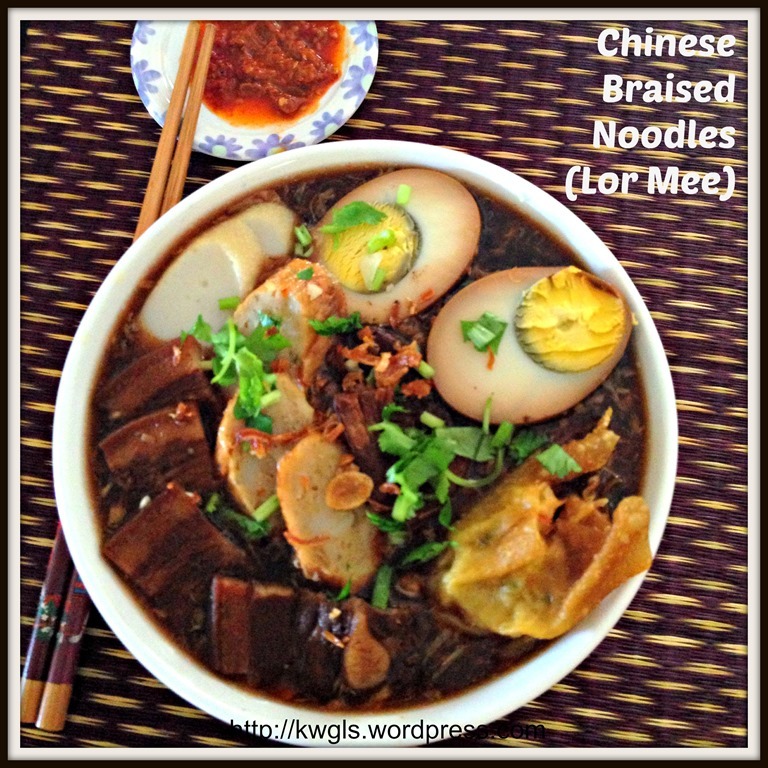 I will braise my meats and eggs today for dinner and use the meat broth to prepare the noodle dish the next day. Of course reserve some meat and eggs for the noodles.. In a sauce pot, put the water (estimated to be 3 cups to cover the meat), the garlics and gingers, dark soya sauce, rock sugar, five spice powder and bring to boil. Add in the pork belly meat and let in simmer for 15 minutes or until the meat is soft. How long it needs to be simmered will very much depends on the thickness of your meat. The thinner it is, the faster it will be. After 15 minutes, add in dry bean curd and hard boiled eggs and let it simmer for another 10 minutes. Close the lids and let it rest in the pot for another 15-30 minutes. Cut the eggs into halves and the meat into small slices. In the same sauce pot, add about the same quantity of water (about 3 cups) to dilute the meat broth. 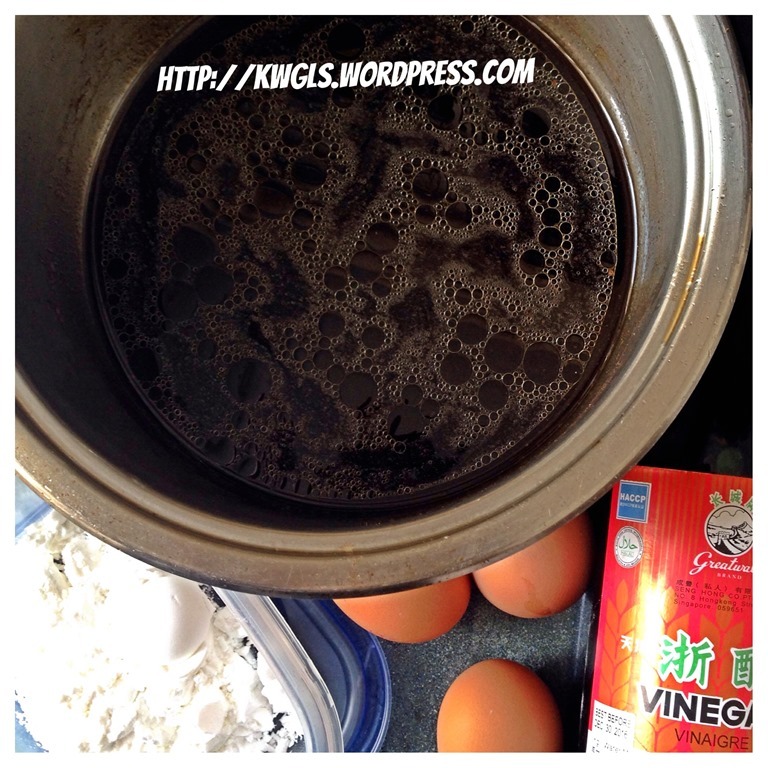 Add in one cup black vinegar (Note that you may want to gradually add in the vinegar if you are concern it may be too sour for your taste buds). Bring to boil. Beat the eggs lightly, when the gravy is boiling, gradually add in the beaten eggs and use a big ladle or spoon to stir it in a circular motion as fast as possible. 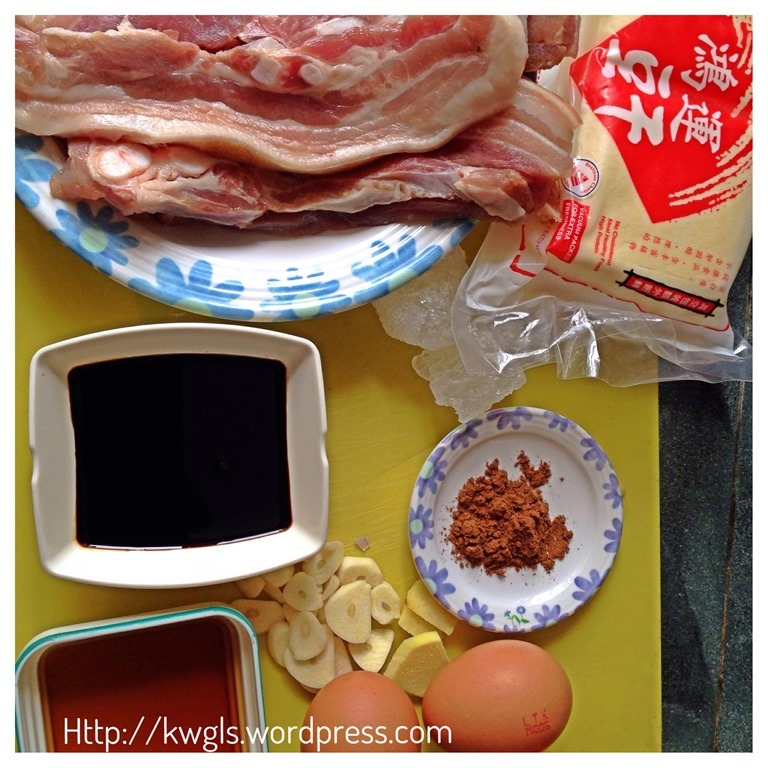 It will become an egg drop or egg flower soup. Put about 1 cup of cold water into the starch to form a solution. 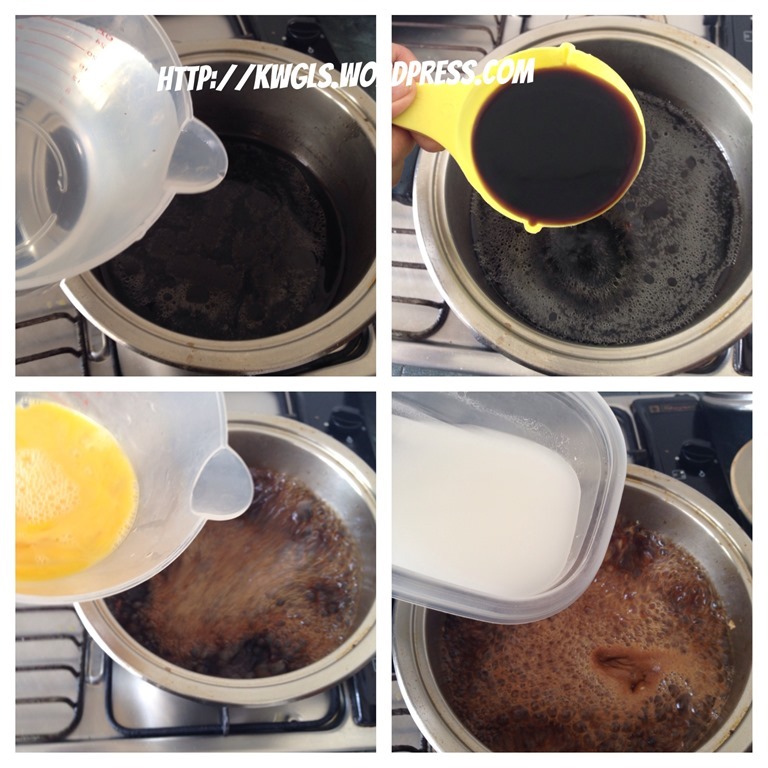 Stir well and gradually pour to the hot boiling gravy. Keep an eye on this process. If it is too sticky, stop the addition. If it is too watery, add in more starch. 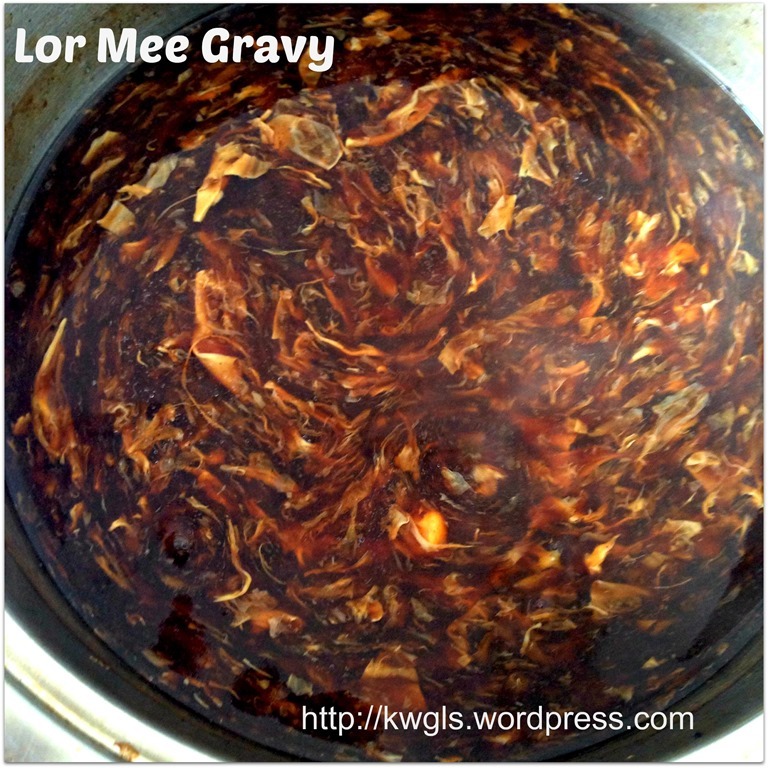 Remember to stir the gravy continuously. Add seasonings such as salt and sugar and off the heat. Set aside for later assembly. In a pot or sauce pan, bring some water to boil. Add a few drops of cooking oil. Blanch the bean sprout (about 1 minute), rice vermicelli (about 3 minutes) and yellow noodles (about 3 minutes) in this order. Drain and set aside.. If you wish, you can wash your rice vermicelli and yellow noodles with cold water to prevent it to become soggy. 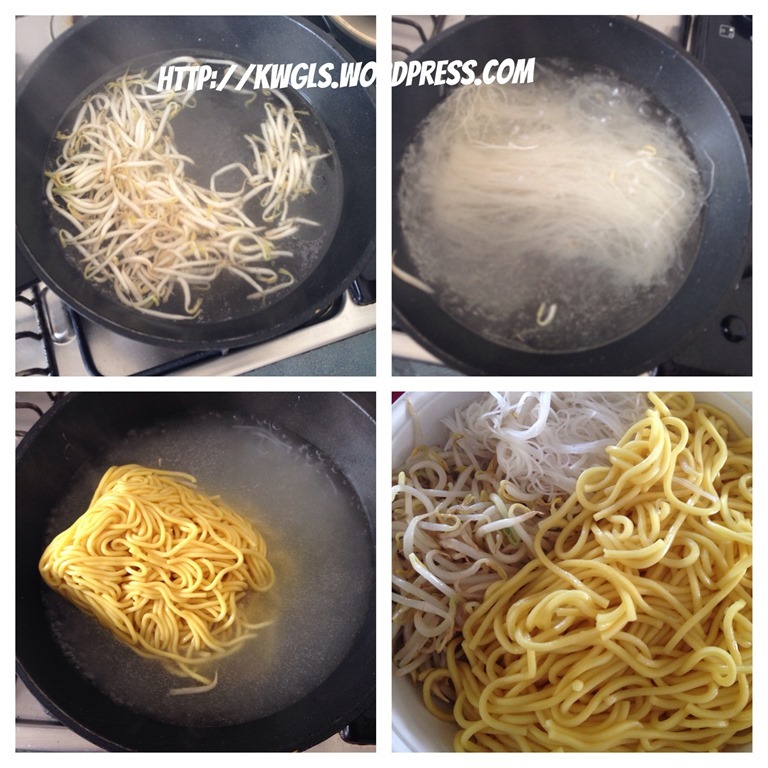 In a serving bowl, put some yellow noodles, rice vermicelli and bean sprouts. Add in the gravy just enough to cover the noodles and bean sprouts. 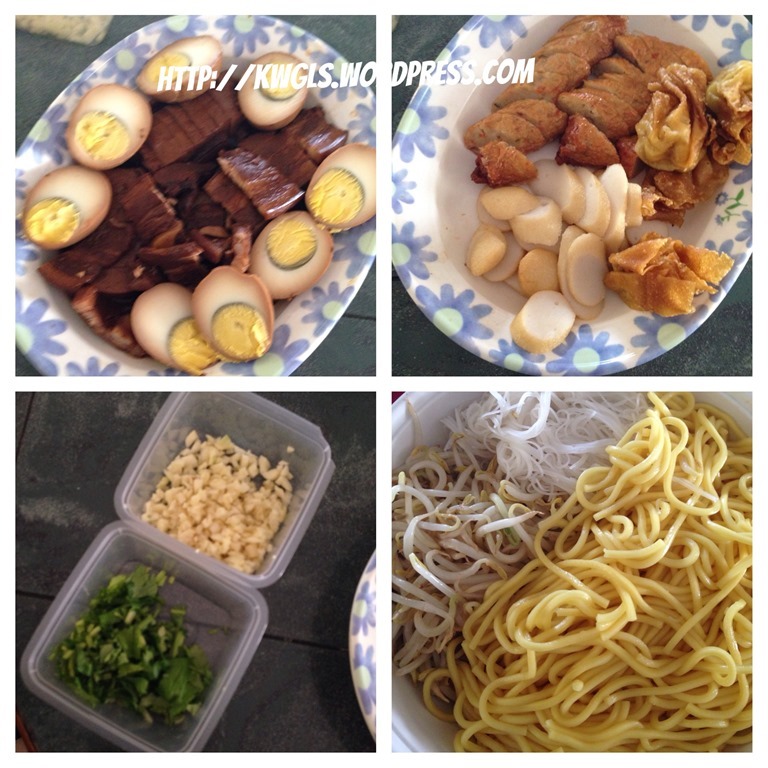 Put some braised eggs, wanton, meat rolls, fish cakes on the noodles. Add a teaspoon of minced garlic, some minced Chinese celery and deep fried garlics. Based served hot with some chilli sauces.. Preparation is not difficult but a bit laborious. 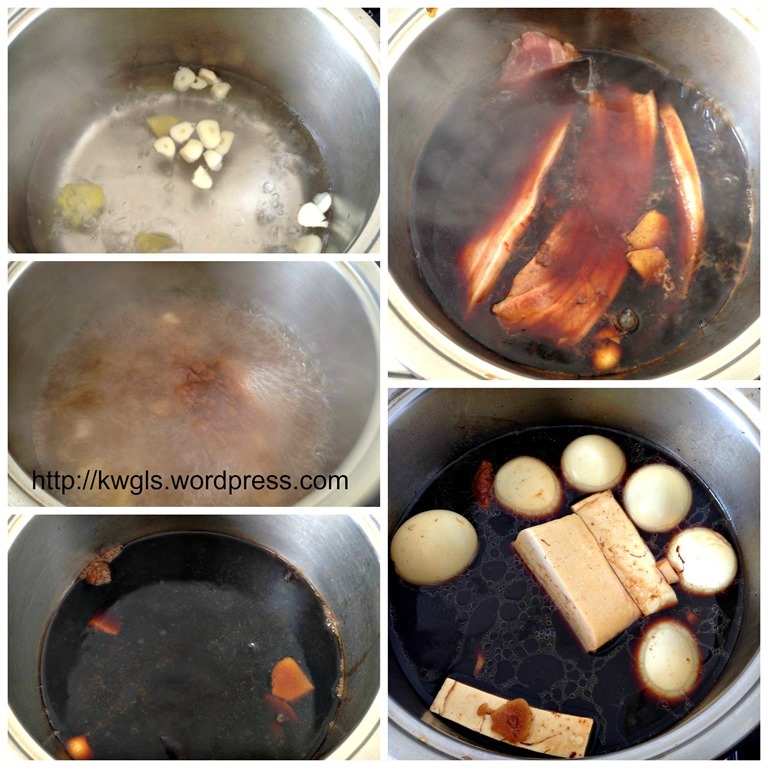 If you just braised the meat and buy all the others from the stores, it will save you a lot of time. 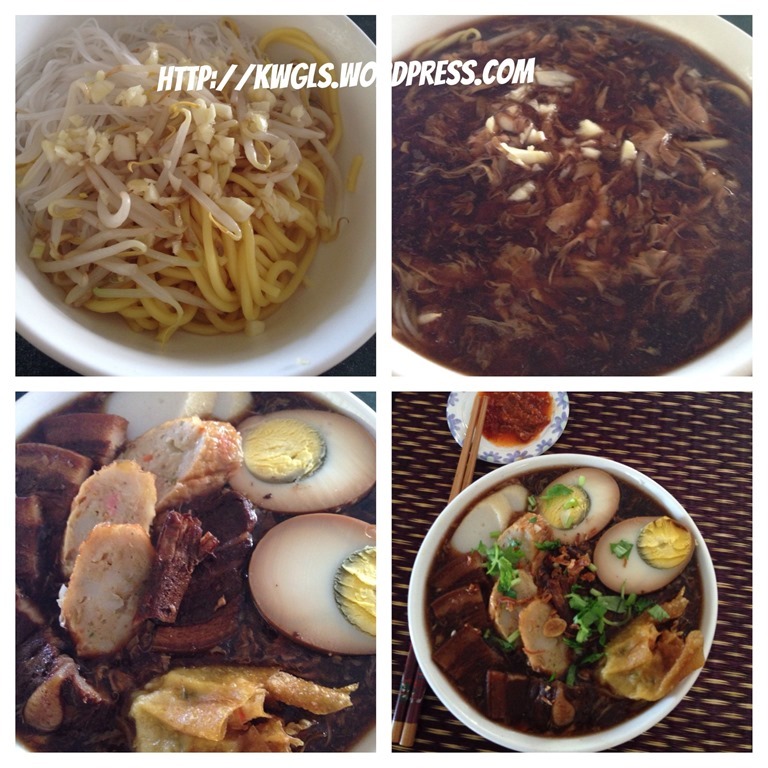 It is my sincere advise to braise a bit more meat and eggs for the dinner the day before and reserve the broth, some meats and eggs for the next day’s noodle dish… The broth will also be more tasty.. 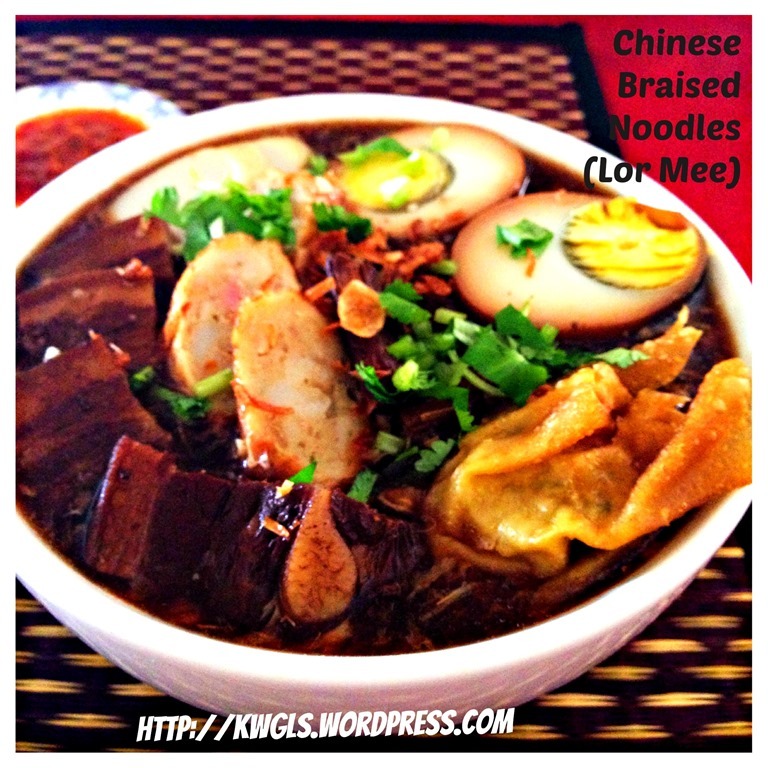 This recipe was included in Page 26-29 of the “One Pot Noodle E-book”. 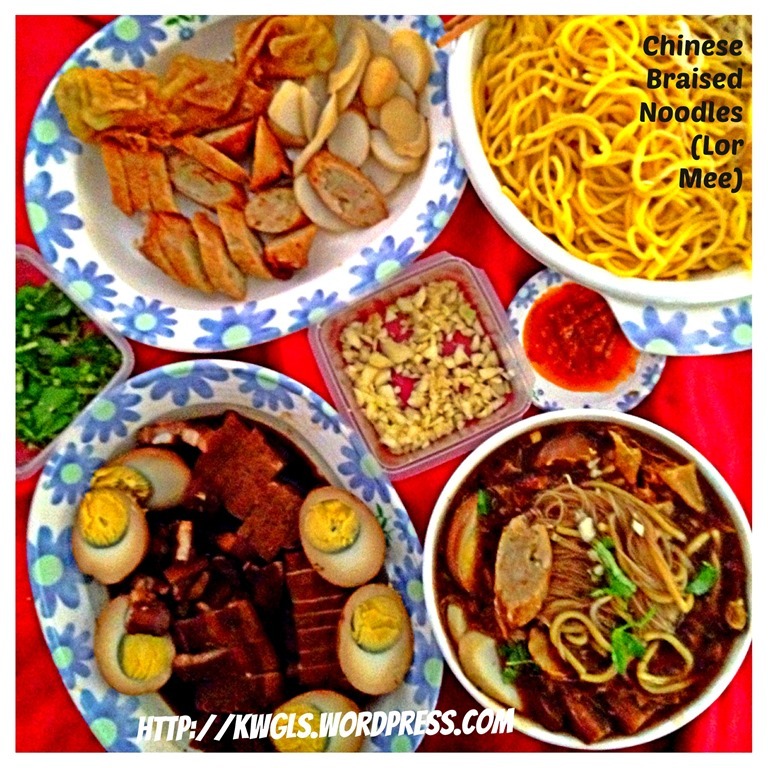 For more One Pot Noodle Dishes, you can have a copy of “Easy One Pot Noodles – A step by step guide” that was packed with 30 recipes, 60 pages at a reasonable convenience fee of USD5.00. 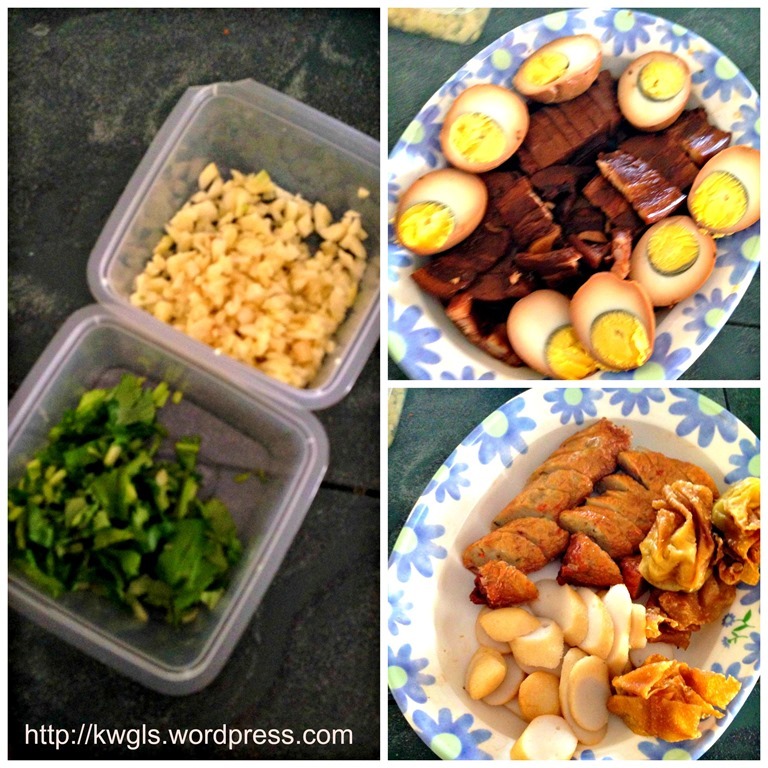 The recipes covered various recipes from curry laksa, prawn noodles to fish head beehoon and etc. 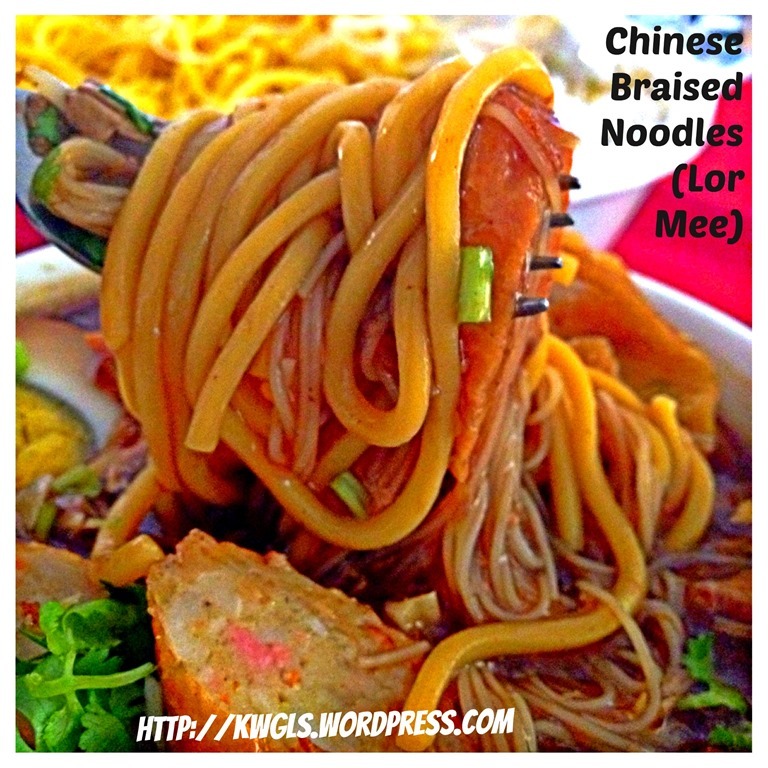 Of course not forgetting the well like Economy Bee hoon and Mee Rebus . You can purchase by clicking the link above.You can either pay using Pay Pal or Credit card account. Please ensure that you have an PDF reader like Acrobat or iBooks in your mobile phone or iPad if you intended to read it in your ipad or mobile phone. Should there be any problems of purchasing, feel free to contact me at kengls@singnet.com.sg and separate arrangement can be made. 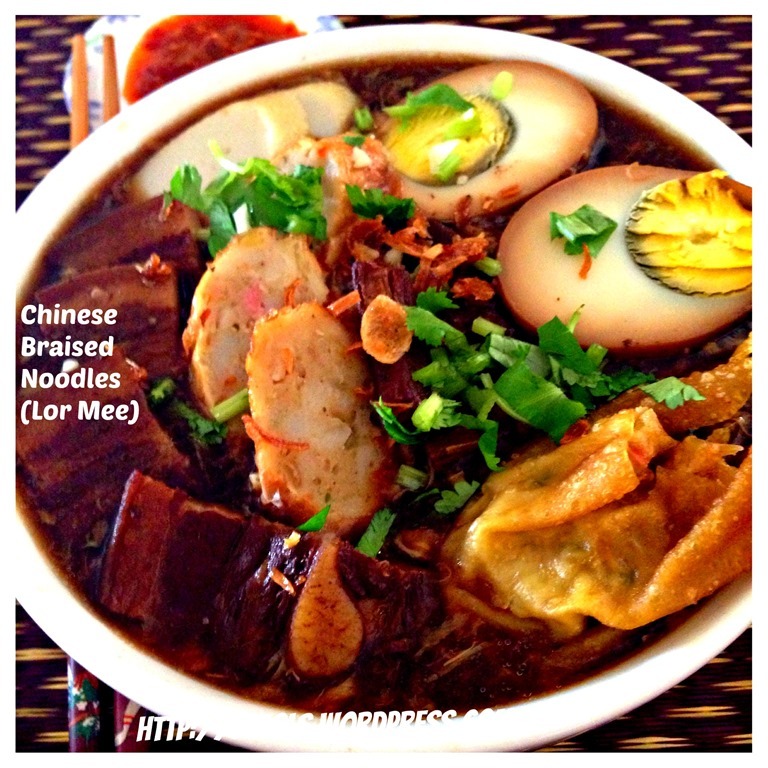 This entry was posted in Dish, Food Preparation Series, noodle dishes and tagged 8, braised noodles, GUAI SHU SHU, Guaishushu, kenneth goh, lor me, postaday, 卤面. Bookmark the permalink. Sounds great! I love chinese dishes!! I will definately be giving this a try soon! This is good! 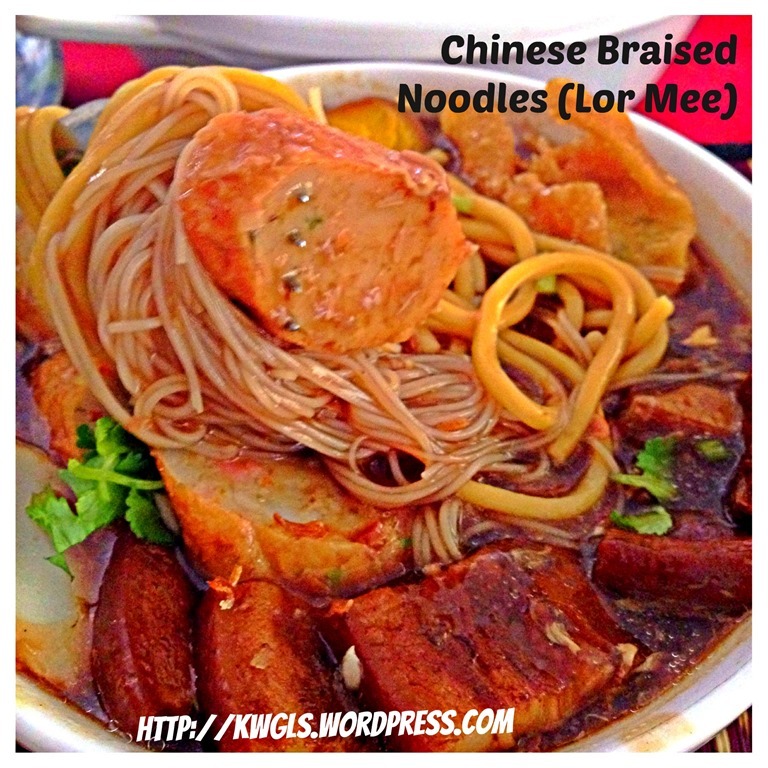 Suddenly, I crave for lor mee. Definitely going to try this over the weekend! Anyway, if happens that any of ur neighbours want to shift out, would u b kind enuf to let me know? I will shift in n be ur good neighbour! haha….anyway, thanks for the sharing! So happy to hear this. I prepare this today for lunch also.